Maynooth is a picturesque and bustling university town in north County Kildare, just half an hour from Dublin city centre. The story of Maynooth is guaranteed to intrigue visitors. As you enter the college gates you encounter Ireland’s oldest native tree. The history of Ireland’s national seminary, founded in 1795, unfolds as you take in Georgian, Victorian and Gothic Revival buildings. There are scientific discoveries, royal visitors, gorgeous gardens and even a ghost story or two. 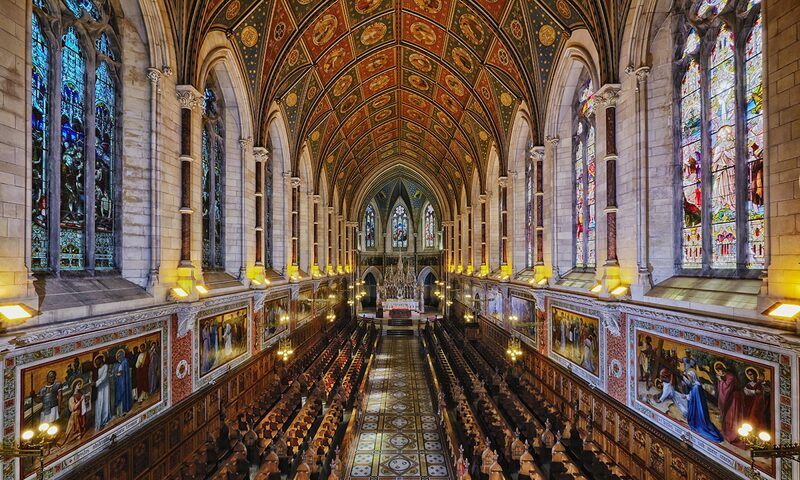 It all culminates in the breathtaking College Chapel, the world’s largest choir chapel. You’ll still have time to see the Hogwarts-like seminarians’ refectory, the college cemetery and the National Science Museum. Just outside the main gate Maynooth Castle is open to the public. The town is packed with great places to eat and shop. We hope you’ll take time to visit Maynooth and we look forward to welcoming you to our beautiful campus throughout summer 2018.